In the secretive world where fearless men and women wage a daily covert war, the CIA has intercepted two terrorist cells – but a third, led by a dangerous mastermind, is feared to be on the loose. Counterterrorist agent Mitch Rapp joins forces with a warrior as dedicated – and lethal – as they come: ex-Marine and elite operative Mike Nash. Both Rapp and Nash have stared down the jihadist culture of death. Both have saved thousands of lives without accolades or acknowledgement of their personal sacrifices. 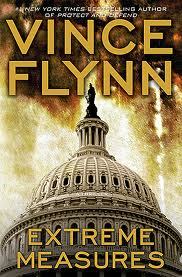 But the political winds have changed on Capitol Hill, and certain leaders want Mitch Rapp put back on a short leash. And when a nightmare scenario descends on Washington, D.C., Rapp and Nash will follow new rules of engagement: their own. Twenty-one-month-old Cassie Jones is the picture of health. Yet her parents rush her to the emergency room night after night with symptoms no doctor can explain. Cassie’s parents seem genuinely concerned. Her favorite nurse is a model of devotion. When Delaware is called in to investigate, his instinct tells him that one of them could be a monster. Then a physician is brutally murdered. A shadowy death is revealed. And Alex and his friend, LAPD detective Milo Sturgis, have only hours to uncover the link between Cassie’s terrifying condition and these shocking, seemingly unrelated events. The voice belongs to a woman, but Dr. Alex Delaware remembers a little girl. It is eleven years since seven-year-old Melissa Dickinson dialed a hospital help line for comfort – and found it in therapy with Alex Delaware. Now the lovely young heiress is desperately calling for the psychologist’s help once more. Only this time it looks like Melissa’s deepest childhood nightmare is really coming true. Twenty years ago, Gina Dickinson, Melissa’s mother, suffered a grisly assault that left the budding actress irreparably scarred and emotionally crippled. Now her acid-wielding assailant is out of prison and back in LA – and Melissa is terrified that the monster has returned to hurt Gina again. But before Alex Delaware can even begin to soothe his former patient’s fears, Gina, a recluse for twenty years, disappears. And now, unless Delaware turns crack detective to uncover the truth, Gina Dickinson will be just one more victim of a cold fury that has already spawned madness – and murder. 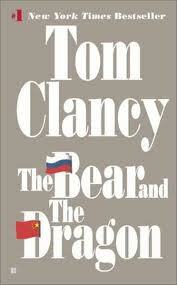 Only two rival spies – and one mysterious woman – can stop them: Scofield, CIA, and Talaniekov, KGB. They share a genius for espionage – and a life of terror and explosive violence. Sworn enemies, they have vowed to terminate each other – yet now they must become allies. Because only they possess the brutal skills and ice-cold nerves vital to destroy an international circle of killers, the Matarese. Andrea Labore is a beautiful, ambitious Twin Cities TV newscaster, hungering for an anchor chair, and with two men hungering for her. One is Rick Beanblossom, a star reporter who hides his disfigured face behind a cotton mask and his scarred soul behind a cynical shield. The other is the channel’s uncanny weatherman, Dixon Bell, a gentle bearlike genius whose claws are as concealed as his past. When Andrea goes after the story of a serial killer of pretty young women, it becomes clear that the monstrous murderer is after her. Trusting the wrong man with her love can cost her life. And as the clouds of suspicion darken, the only sure forecast is that death will strike like lightning again and again … closer and closer. Death row inmate Rommy Gandolph insists he’s innocent – and new evidence has convinced his court-appointed attorney. Once a skeptic, Kindle County corporate lawyer Arthur Raven is now a fervent crusader. But in the world of criminal law he’s a rookie squaring off against a D.A. determined to prove she’s right, a female judge who served time for taking bribes, and the original detective on the case eager to seal Rommy’s doom. The battles are hard-fought and more vicious than anything Raven has ever imagined. Because when the state has the power to kill, everything is life or death. A shocking act of violence plunges Boulder, Colorado, clinical psychologist Dr. Alan Gregory into the most challenging and dangerous case of his career. At the heart of the sensational crime are two women trapped by the furies of fame. One is the beautiful daughter of an assassinated U.S. official, whose life is threatened by a mysterious attacker. The other is Alan’s wife, associate district attorney Lauren Crowder, who has just been arrested on suspicion of murder. His desperate search for answers will bring Alan face o face with true evil: a conspiracy fueled by human greed and bound by a deadly secret someone will kill – and kill again – to keep. One month in 1865 witnessed the frenzied fall of Richmond, a daring last-ditch Southern plan for guerrilla warfare, Lee’s harrowing retreat, and then, Appomattox. It saw Lincoln’s assassination just five days later and a near successful plot to decapitate the Union government, followed by chaos and coup fears in the North, collapsed negotiations and continued bloodshed in the South, and finally, the start of national reconciliation. 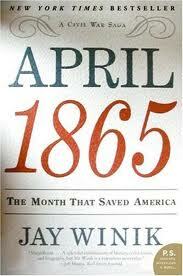 In the end, April 1865 emerged as not just the tale of the war’s denouement, but the story of the making of our nation. Jay Winik offers a brilliant new look at the Civil War’s final days that will forever change the way we see the war’s end and the nation’s new beginning. Uniquely set within the larger sweep of history, and filled with rich profiles of outsize figures, fresh iconoclastic scholarship, and a gripping narrative, this is a masterful account of the thirty most pivotal days in the life of the United States. Looks like a lot of interesting reading ahead. You got some good ones here, some a little older but that’s OK. I’ve read several. 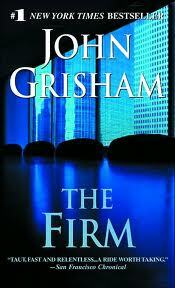 Have you not read THE FIRM? Oh wow. It’s great. 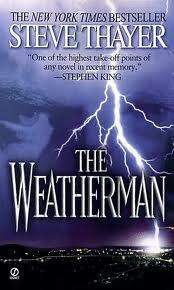 First Grisham I read even though not his first published. Loved Robert Ludlum in past times. Cut my spy-story teeth on his books. 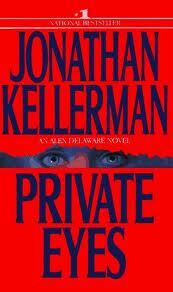 And I used to read every Kellerman book. I’ve kind of left him now, but I was very faithful for a long time. Enjoy your books!! Lots of suspense and action here. Enjoy them all. Mary Ann – yes, I hope there is lots of good reading ahead!! Kay – most of the books that I’m bringing into the house lately are older books by authors that I enjoy. There are a lot of books that I have yet to read. 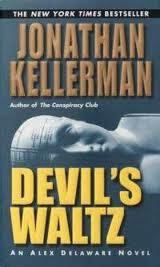 I’ve read some of the more recent Kellerman books, but not his older works. And Grisham, I’ve only read one or two of his books, so I’ve been trying to get all of his books together so that I can read them all in the order they were published.